Hyundai has claimed top spot in the latest J.D. Power Australia Sales Satisfaction Index (SSI) Study just one year after narrowly missing out on the top spot for the same award. The study saw Hyundai as a clear leader with an impressive 827 points, three points clear of its nearest rival and well ahead of the Mass Market class average. Based on independent and unbiased responses from 2,779 Australian new vehicle owners who bought their cars between June 2016 and June 2017, the study was run from January through to June this year. 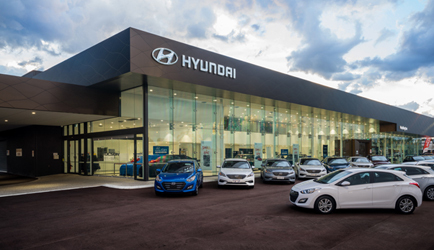 Hyundai’s 827 point Sales Satisfaction score – from a possible 1,000 points – was well above the Australian industry average. Of the 11 brands studied, five fell below the average. Grant’s words were echoed by Loi Truong, J.D. Power’s Senior Country Manager. “Understanding changing customer expectations, keeping customers updated pre- and post-sale (and) delivering consistent customer experiences across the network are the keys to ensuring an elevated sales experience,” he said. Hyundai’s dealers have been investing heavily in their facilities, both in servicing and in-showroom technology, such as the Hyundai hand-over tablet and app which is used at vehicle delivery. In the J.D. Power 2017 Australian Sales Satisfaction Index Study, buyers were asked to look at six individual factors in the purchase process and rate their dealership’s performance. Those factors covered the salesperson’s helpfulness, the sales initiation process, the deal, the time taken for vehicle delivery, the delivery process and the dealership itself. Standout survey results for Hyundai showed buyers were not only positive with the deal they received but also with the quality of the dealer outlet and the delivery timing of their new vehicle. Hyundai’s outstanding performance in the study also showed the majority of buyers surveyed were so satisfied with the complete purchase experience they would readily recommend the dealership to family and friends. The 2017 J.D. Power Australia Sales Satisfaction Index Study also found that of the “highly satisfied” buyer group, 84 per cent said they would definitely stay loyal to their chosen brand and 90 per cent would recommend that brand to others. By contrast, just 33 per cent of “highly dissatisfied” buyers would buy the brand again and recommend it to others.